The Orsis S2-M single phase electricity meter benefits from integration with an Orsis communications module. It delivers a cost effective solution for one or two rate domestic suppliers and solar PV applications that enables the monitoring of generation and import or export kWh. The data is transmitted to Orsis Energize. The data can be forwarded to energy suppliers, data collectors and data aggregators. 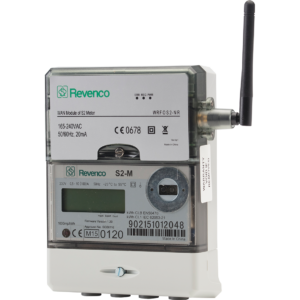 The data retrieved can be used by the consumer to understand their energy consumption or generation levels, manage their fiscal and environmental costs and report meter readings for feed-in tariff collection.